Celebrate Guy Fawkes night with one of our spectacular recipes. For a little bon!re bonding, we’ve got a host of party-pleasers. 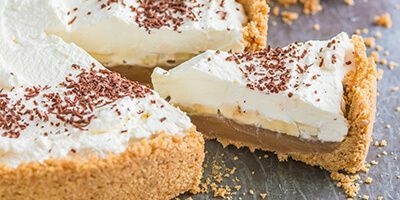 Whether you’re out at a display or hosting a party at home these desserts are quick and easy to prepare - so you can enjoy the evening too! So why not try one of our cracking bakes this 5th of November! This English classic makes a beautiful centrepiece to return to after a chilly night watching !reworks. Guests will love the crumbly biscuit base, thick caramel and fresh banana. Why not give it a try? 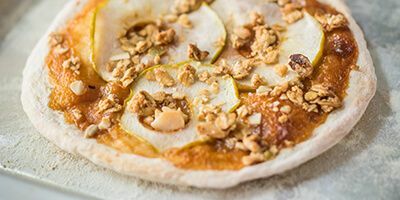 Fresh apple topped on caramel and sweet dough - what’s not to like? These are quick to prepare and a fun twist on the savoury version. Slices of pizza straight from the oven will warm everyone up after the fireworks! 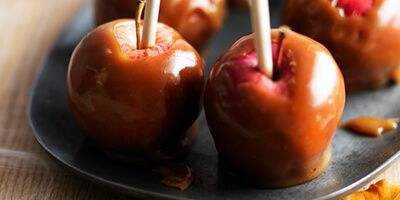 Juicy apples coated in shiny, crunchy toffee and popped on sticks are an autumn delight. They’re also great to hand out while huddling round the fire! If you’re headed out for the fireworks why not take these baked apple and caramel slices with you? 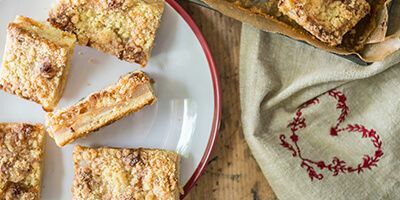 You get the taste of a traditional apple crumble in a traybake.